Following the release of Justice League: Gods and Monsters, the next DC Entertainment animated feature will be Batman: The Killing Joke. Due out in 2016, the story will be an adaptation of the controversial and acclaimed original graphic novel by Alan Moore and Brian Bolland. 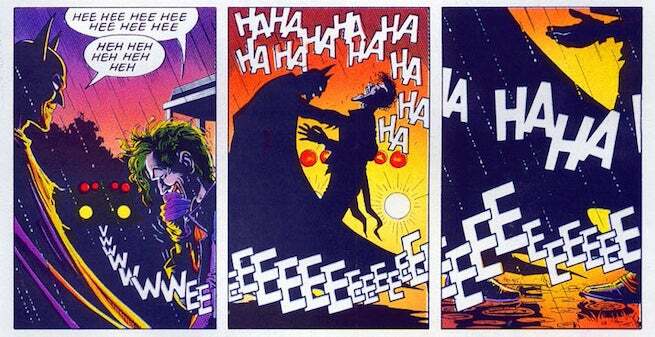 In the comics, The Joker escapes Arkham, shoots and paralyzes Barbara Gordon in order to terrorize her father, Gotham City Police Commissioner Jim Gordon. A few months ago, ComicBook.com heard that a Batman animated feature, which was Joker-heavy, was being cast but that sides for The Joker himself was not being distributed. Assuming it might be The Killing Joke and that Hamill was already cast, we asked around but couldn't find anything publishable. Recently, the controversy around how Barbara Gordon was treated and how the violence against her is seen by many as sexualized boiled over when a Joker 75th Anniversary variant cover for Batgirl depicted him in the clothes he wore in the book, menacing a helpless Batgirl. The variant was ultimately pulled and not published at the request of the artist. Other animated films announced for 2016 - Batman: Bad Blood featuring Batwoman, and Justice League vs Titans.